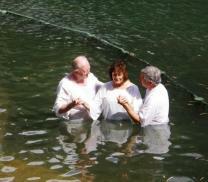 There are some lovely Christian sites in Israel off the beaten track. 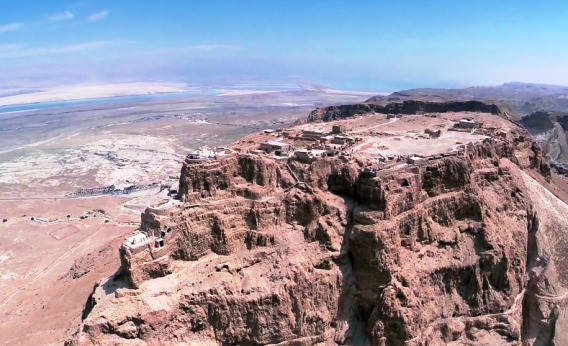 If you have a spare day after visiting the ten, must-see Christian sites in the Holy Land, head to the Judean Hills! 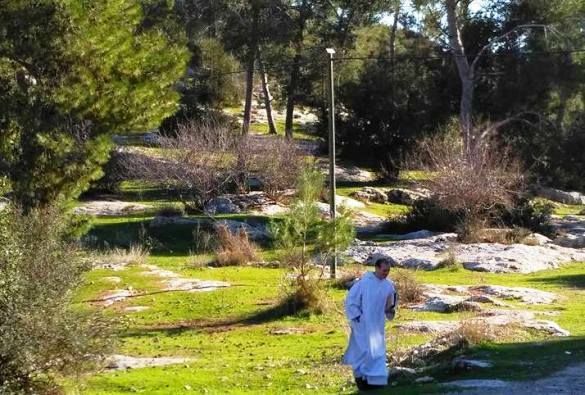 Just half an hour from Tel Aviv and Jerusalem, the scenic hills near Jerusalem are home to five beautiful Christian spots worth visiting. To explore these 5 Christian sites in the Judean hills, you can rent a car and follow our suggested itinerary below, a take with us a one-day private tour. 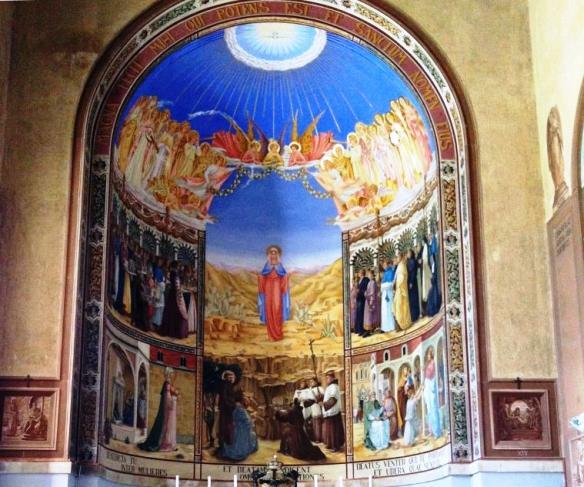 The vividly restored frescoes at Abu Gosh village are located at the Crusader Church at the Benedictine Monastery. This crusader-built church is one of the best preserved in all of Israel. In the cellars you can visit the original spring that gave life to the ancient village first established here 10,000 years ago! 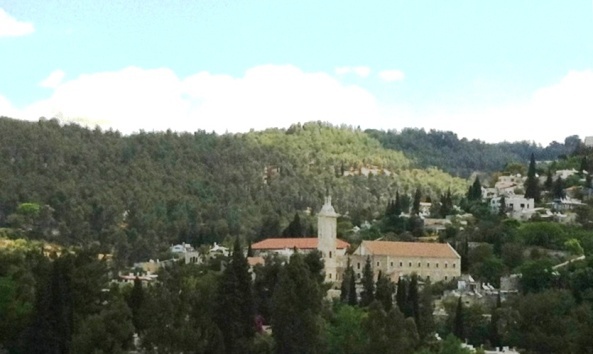 Abu Ghosh is considered the possible site of Biblical Emmaus. Continue up the hill, to enjoy a Jerusalem view, and visit the Church of Our Lady of the Ark of the Covenant with its statue of Mary. The church was built on the site where the Ark of the Covenant was kept before King David moved it permanently to Jerusalem. 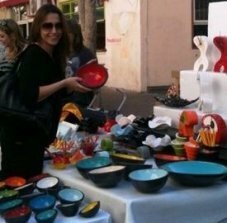 Read more about Abu Ghosh here. 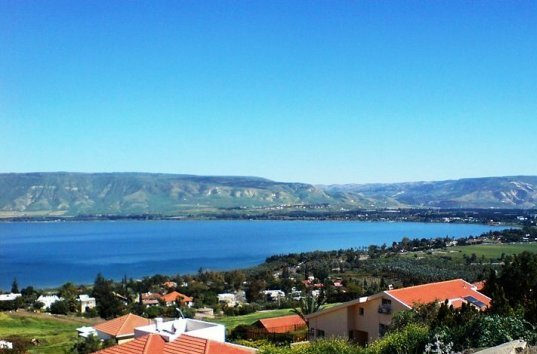 From Abu Ghosh, drive down the mountains to visit the Trappist monastery at Latrun, with its stunning grounds overlooking the Judean Hills and Ayalon valley. The monastery is famous for its silent monks. The monastery is also known for its excellent wines and other goods. Latrun has ancient roots and was inhabited by Joshua, by the Judean Maccabees, by the Cruasaders, the Ottomans and the British in the early twentieth century! 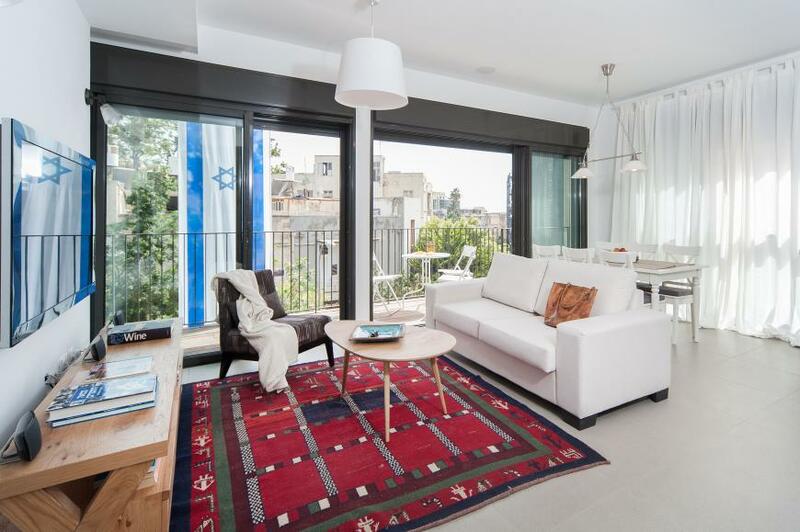 It was also the site of fierce fighting during the Israel War of Independence, in which many live were lost. 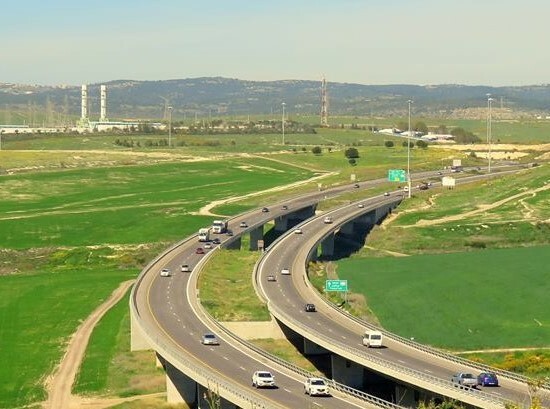 Latrun is home to Mini-Israel, a great tourist site in Israel where you can truly see miniature of al or most of Israel, covering 380 different sites. 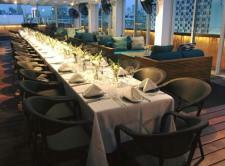 Its lots of fun and not just for kids. extending her hand to bless the land. At her feet is the inscription “Reginae Palestinae”, the Queen of Palestine. 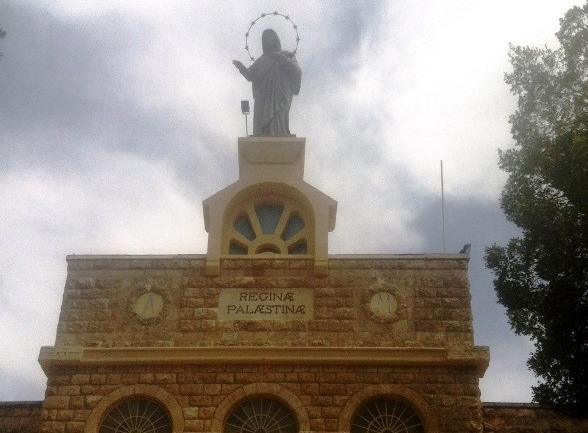 When the statue was built, 'Palestine' did not have the political meaning it has today..
On the beautifully painted chruch walls and ceiling, the Hail Mary prayer is represented in two hundred and eighty different languages! 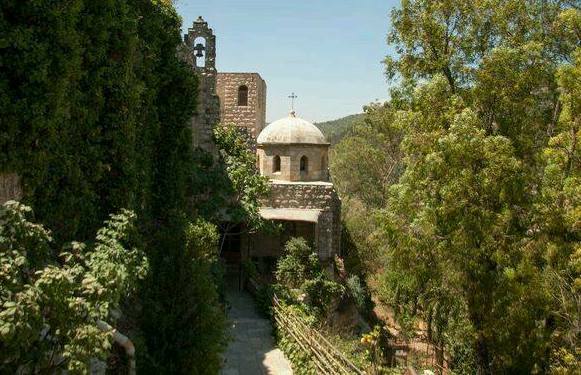 A shot drive from Deir Rafat is the romantic monastery of Beit Jamal. The monastery is built above the burial place of the first martyr St. Stephan. It too is famous for its famous for ancient mosaics and frescoes, as well as a great wine and olive oil that are made by the local monks and nuns. And finally, continue along a breathtaking drive through the forests of the hills to Ein Kerem. 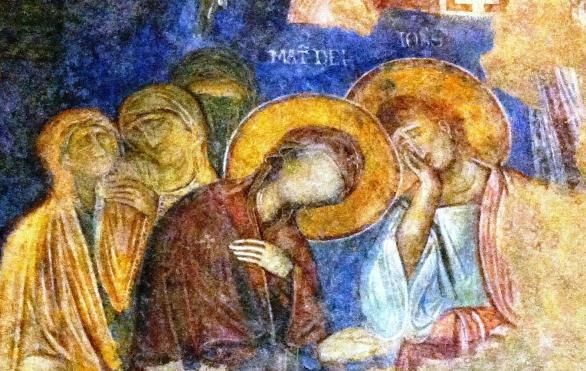 is celebrates the place where Mary met John’s mother Elisabeth. Walk along Ein Kerem's winding alleys where you can enjoy the scenic views. The village is full of interesting shops, homemade ice-cream stores and nice restaurants. 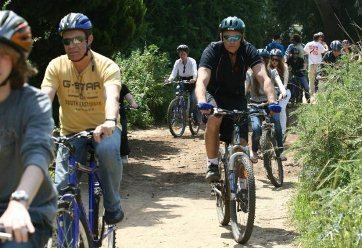 On this tour you'll head for the Judean Hills and discover the lovely villages, churches and monasteries that are off the main Christian tourist path. 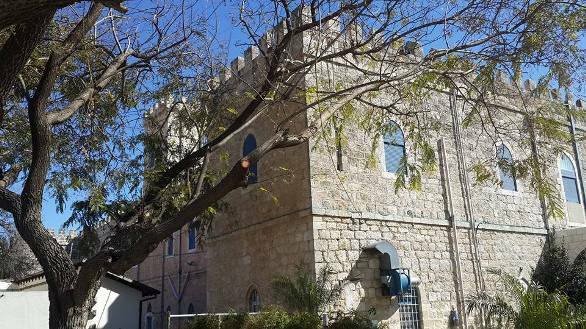 You’ll start at Abu Gosh village, the site of Biblical Emmaus and see the gorgeous frescoes of the Crusader Church and the famous statue of Mary at the Church of the Lady of the Ark of the Covenant. From there, you'll drive down to Latrun and the silent monks at the renown Trappist monastery, visiting the relics of the Crusader church, the wine cellars and enjoying the scenery. 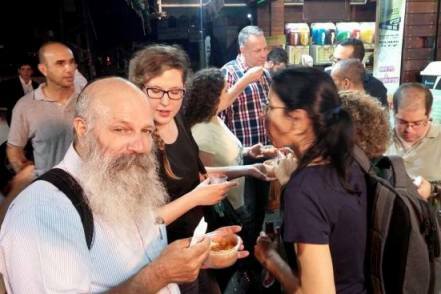 The tour continues to the beautiful villages and monasteries of Deir Rafat and Beit Jamal. 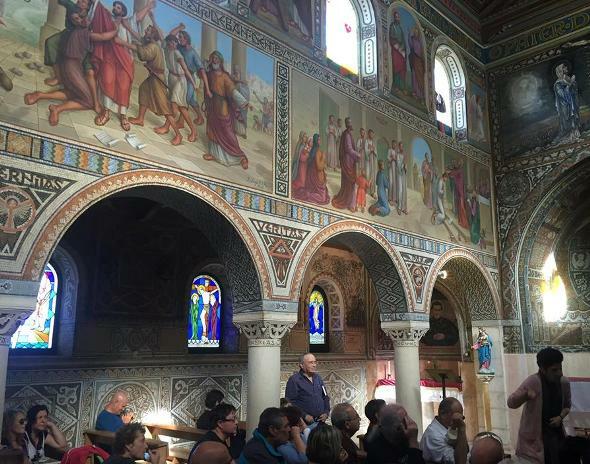 The trip finale is in Ein Kerem village, walking along its winding alleys and visiting its two main churches: The Church of Visitation and the Church of John the Baptist commemorating the place where John was born.